Hey, what’s a monocular? I would say, “Much like one half of a binocular unit, a small telescope that allows distant visibility (magnification of objects) with one eye.” …. As you’re here on this page, I can see you want to know how to use a monocular and not to bother the science or mechanism of the device. Well, we’ll get to that right away! How to Use a Monocular? Unlike most optical products, the monocular doesn’t include many bells and whistles. So, using a monocular involves little technicality requiring you to focus on a few things. Read my instructions and advice and become a well-informed user soon enough. So, you’re excited to put your hands on your monocular? Here’s how you should and need to start. Look through your monocular with the eye that has the best (most powerful) vision. Use the right hand for the right eye and the left hand for the left eye. Don’t know how to find out about your own eyes? Well, you can learn the quick yet appropriate method of finding the dominant eye in another article. Don’t worry about your nearsightedness (myopia) or farsightedness (presbyopia) or any ocular issue that requires you to wear glasses. You need to use them too while using a monocular. Choose a monocular with at least 14mm eye relief (the required distance between your dominant eye and the monocular for an optimal field of view). Now, you’ll be touching/grabbing your monocular. Take the device up to the level of your eye and hold the barrel near the ocular lens. Your eye and the lens should be as much close as possible but without any physical contact. Keep your forefinger against the brow and the elbow against the body or hold the wrist using the other hand (the one not in use) to keep it still. You may also rest on your stomach with the elbows set on the ground. It’s important that you adjust the focus manually and keep working on it as long as you need to get the clearest view of your target. Typical devices feature a ridged dial that can be rotated using the fingers. Some models may require the user to put both hands on the adjustment component. Keep the dial rotating in all available directions until you get the desired view. Now is your time to trace your target, follow its movement, and refocus as needed. I’m explaining every bit of it in brief. Don’t ignore the power of naked eyes as they’re the primary tracer of your object, if not the best, and all its surroundings because you aren’t limiting your vision or looking ahead with one eye. So, glace your target and only then, you’re good to have the monocular. Open and use the other eye (the closed one) to retrace your target in case you lose its sight. 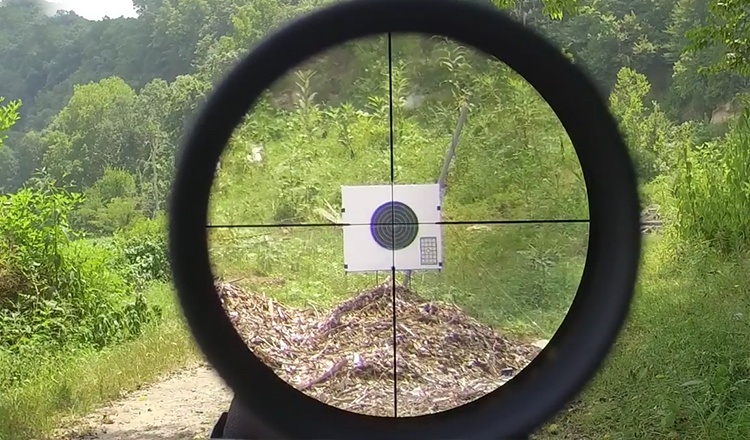 Most targets tend to movements requiring hunters/observers to follow them every second. Don’t rush while tracking your target. Turn the head slowly (not too much) to keep an eye on it. You can even move the entire body without changing the placement of the device to follow a target that moves much farther than the point you located it at. Adjust and readjust the focal lens in accordance with the change(s) of position of both you and the target. By now, you’ve got yourself familiar with the use of a monocular, though not thoroughly yet. There’s more to understand and apply if and while you aim at learning how to use monocular like an ardent user. Getting Advanced Education: ‘Monocular Cues’? The term ‘monocular cues’ may sound all Greek to you, but it has deep correlation with depth perception and great significance to how you understand the position of your target. A monocular cue refers to what one of your eyes sees and interprets with the other closed. These cues present us the positions of both us and the targets. They let us know how far/near our target animals/objects physically exist from us. Here’s a quick overview of different cues, so you can understand each of them and thus benefit from more advanced understanding of your findings. Enough of science! Yeah, I understand you wished to have something more enjoyable. But, remember, my friend, these cues are what let us gain the complete experience of a scene along with our visual interpretation of where we are in relation to what we target in the scene. Read This If You Have an Infrared/Night Vision Monocular! Modern outdoor enthusiasts in a large number tend to the uses of the special monocular designed to serve at night. Have you managed to get a futuristic night vision monocular? If you already have, keep the following things in mind. Your monocular encases a nearly invisible infrared light. Don’t ever look closely and directly into that light. It could impair/harm your eyesight seriously and permanently. Don’t use the device in conditions privileged with bright lights which could eventually damage the image intensifier. When you won’t use your device, consider using the objective lens cover. You might see some bright/dark spots in the image intensifier tube of the monocular. Don’t worry. It’s a typical case. When and How to Use a Monocular? If you’re a climber, explorer, or hiker with any experience level, you can get a top-of-the-line monocular and start using wisely. Don’t use the higher magnification settings. Do not remain busy with activities like driving, paddling, running, or walking while using. You might be thinking it’s a part of the maintenance process. You’re right! But I must tell it’s also a part of how to use a monocular. Won’t you agree? Then, read the following points. Use a strap to save the device from dropping, breaking, and wear. Avoid touching the scope’s lenses. Don’t forget to use the lens cap every time you’re done using the device. Use mild, high-quality eyeglass wipes or similar solutions to clean the device. No tissue papers, shirts, or cleaners with rough substances, please! That’s all I wanted to inform you, and I’m happy I did. Don’t hesitate to let me know if you’ve any further question. Know that I want to help!